The show is based on Dennis Kelly’s British series of the same name. 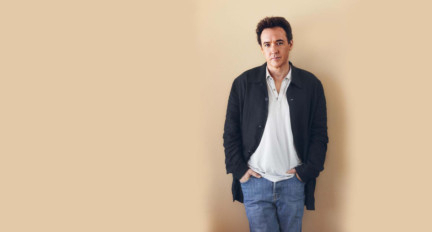 John Cusack will star in a series regular role as Dr Kevin Christie in upcoming show ‘Utopia’. In the Amazon series ‘Utopia’, a group of young adults who meet online are mercilessly hunted by a shadowy deep state organisation after they come into possession of a near-mythical cult underground graphic novel. They discover the conspiracy theories in the comic’s pages may actually be real and are forced into the dangerous, unique and ironic position of saving the world. ‘Utopia’ marks Cusack’s first starring role in a TV series. He is widely known for his roles in films like ‘Say Anything’ and ‘High Fidelity’. Cusack has also appeared in movies such as ‘Being John Malkovich’, ‘Grosse Pointe Blank’ and Lee Daniels’ ‘The Butler”. ‘Utopia’ is based on Dennis Kelly’s British series of the same name. Amazon ordered a nine-episode first season of the show in 2018. Gillian Flynn will serve as executive producer and showrunner with Kelly also set to executive produce. Jessica Rhoades, who collaborated with Flynn on ‘Sharp Objects’, will also executive produce along with Sharon Hall, Karen Wilson and Diederick Santer.